The NZ Suffrage Movement is a cornerstone of New Zealand identity, a flame to be carried from generation to generation, not a history book page to be flipped through every few years. Once, the women’s vote divided the nation. Now it unites us. 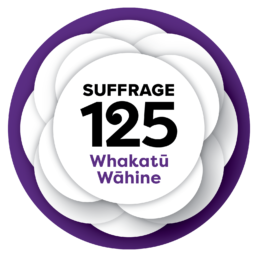 The Suffrage movement was revolutionary because of its commitment to inclusivity; the campaigners secured the vote for all women, Maori or Pakeha. We continue to praise what they achieved. Yet we must approach with caution this communal pride. It was not our generation who granted women the vote. One hundred and twenty five years ago, we were at the forefront of women’s rights. In 2018 to remember is not enough. We cannot rest on our laurels; we must continue to take action to improve the position of women in New Zealand. The Suffrage movement serves as a continual motivator to speak up for the voiceless women, for the women who will follow in our footsteps, for the women who lit the flame.